Recurring transactions are a way to quickly create different transactions with the same information that will happen on a regular occurrence. You can set these transactions up to record automatically or you can set them up so that they only created manually via the template created under the recurring transactions feature. QuickBooks Online will save the transaction as a template and will allow you to manually change the date and amount at the anniversary of the occurrence of the next due transaction if unscheduled. If scheduled QuickBooks Online will automatically post the transaction and will also email out your Invoices to your clients while you sleep. The recurring transactions feature is available in Plus and Essentials versions, but not in Simple Start. In the course of the running of your daily business, there are transactions that you repeat, month after month, quarter after quarter, year after year. Using the QuickBooks Online recurring transactions feature, the more transactions you automate, the more time you will save by not having to create the same transactions. There are three template types for setting up recurring transactions: Scheduled, reminder and unscheduled. Creates a series of transactions according to a schedule you set. If you choose for them to be sent via email once created they will be sent automatically. How you control it: You can choose whether or not to be notified when the transactions occur. In either case, they are recorded without any intervention from you. This type is useful for: Transactions with a fixed schedule and amounts that don’t change, such as rent payments, loan payments and depreciation. Proposes a series of transactions according to a schedule you set. The transactions are not sent until you decide to create and send them. These reminders can be found under the top Home page in the Tasks section. Click on the View reminders link. How you control it: By clicking on each Task as listed above you will be able to decide which ones to create, and you can review and edit them first. This type is useful for: Transactions with a fixed schedule that need to be edited before they are created, such as utility bills. Is simply saved with partial or complete data and without a schedule. Nothing happens to this type of template until you choose to use it. How you control it: Choose the Gear icon > Recurring Transactions. You can then select a template and click Use to use the template as the starting point for a new transaction. This type is useful for: Transactions that contain a lot of detail that you don’t want to retype, but that aren’t needed on any set schedule. 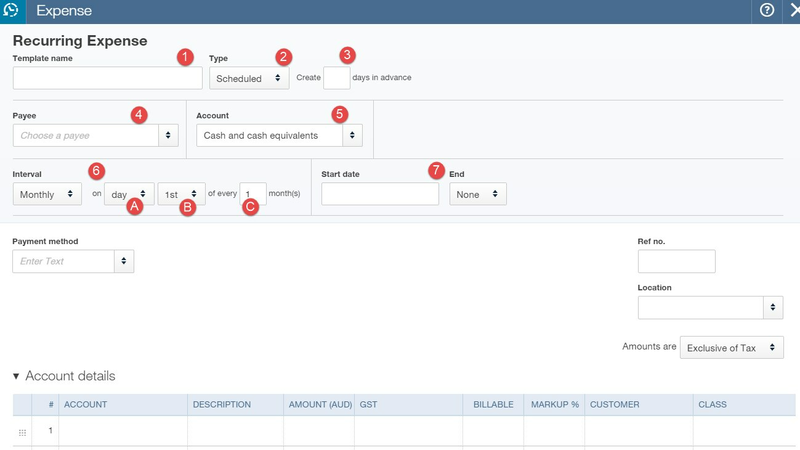 Examples are complicated invoices that need to go to different customers. 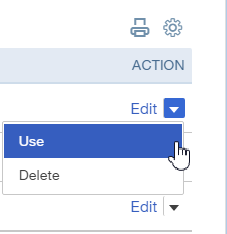 To create a recurring transaction go to your company cog wheel> Under Lists click Recurring Transactions. 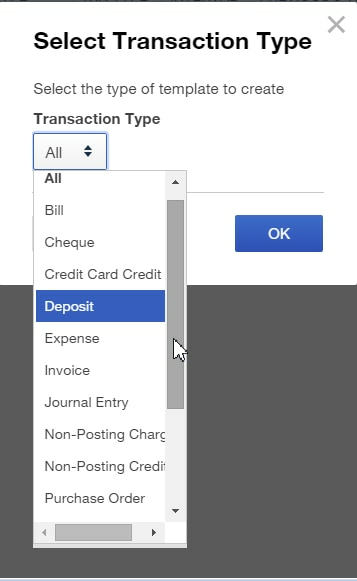 From the drop down box under Transaction Type choose the type of transaction you want to set up. Start Date and End date – choose these dates for the transaction to commence and end. When setting up an invoice to be sent automatically to your client always ensure that the Automatically send emails check box is ticked in the Options section. Once the template has been set up you can Edit the recurring template, manually Use Unscheduled template or Delete the Template. Another quick option to set up a recurring transaction is to click Make Recurring on the bottom of your transaction window. The window will appear and only the top portion has to be completed. You can enter information about the recurring transaction and schedule it according to your preferences. Save the template so that the transaction will appear later in the list for recurring transactions.